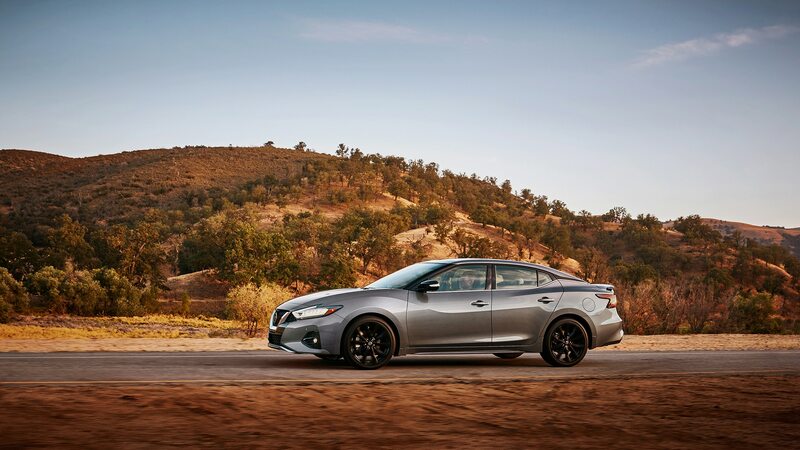 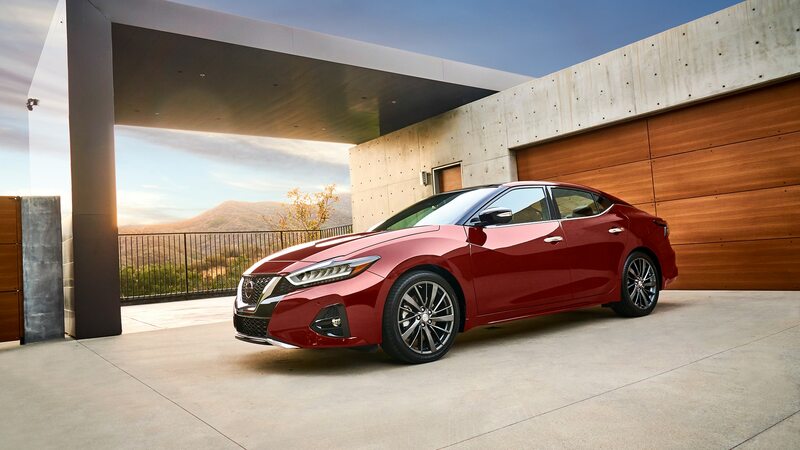 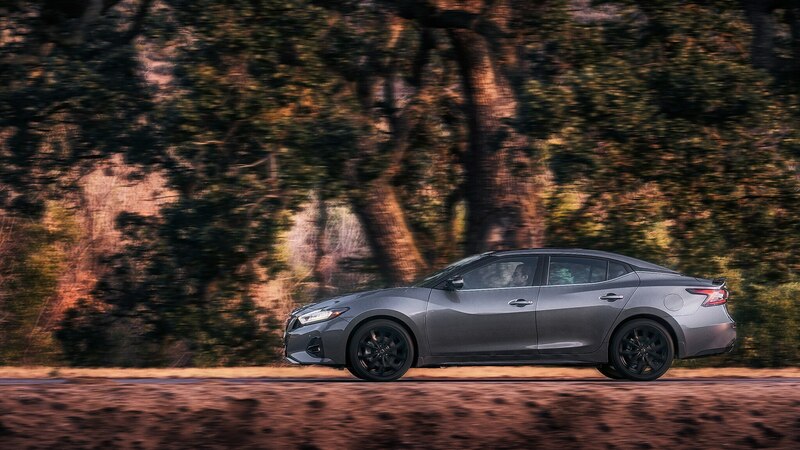 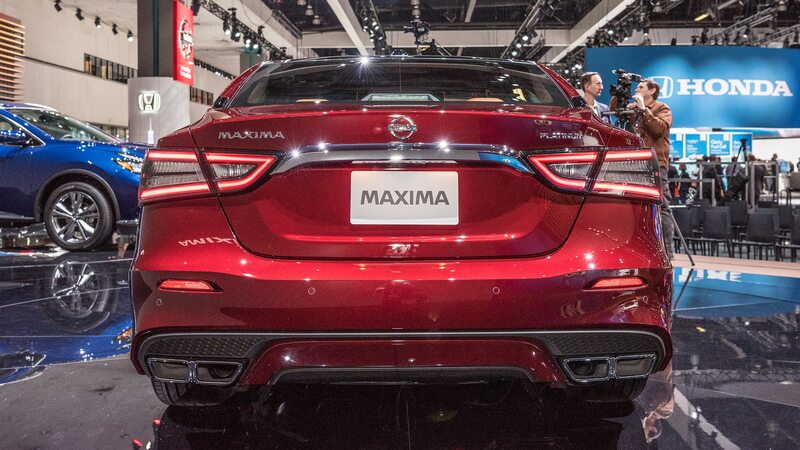 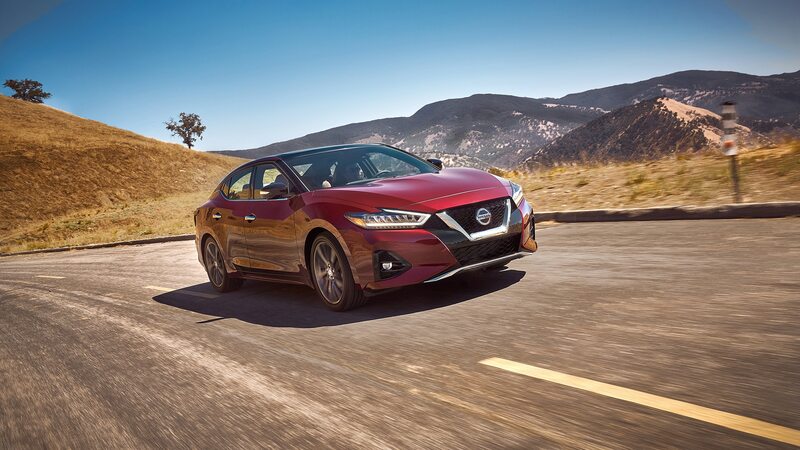 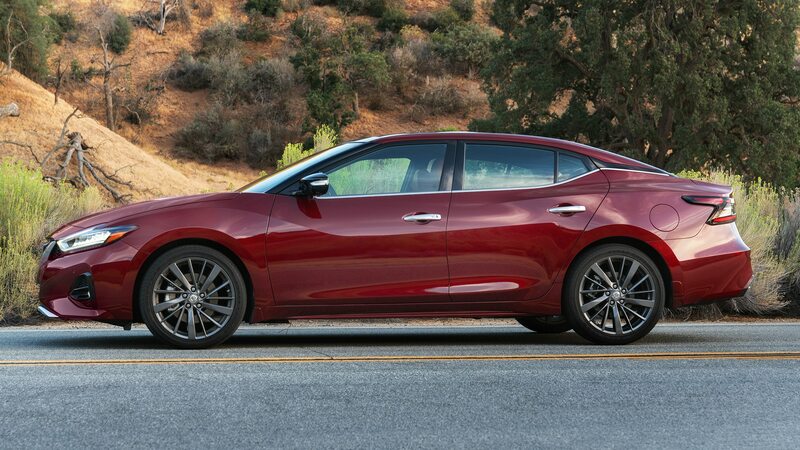 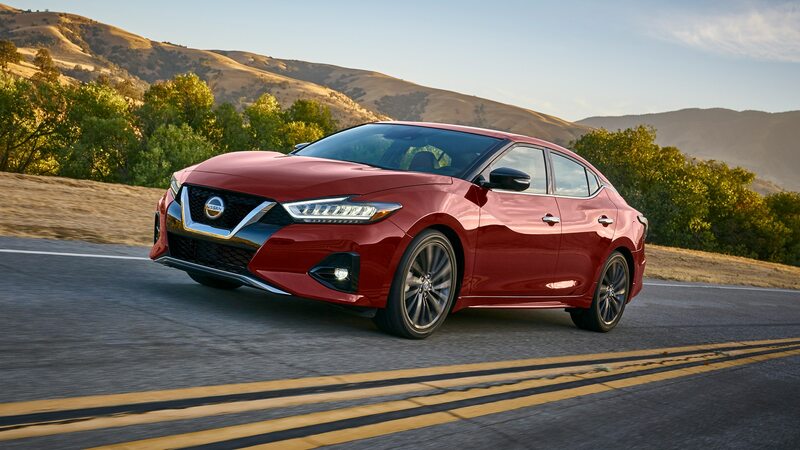 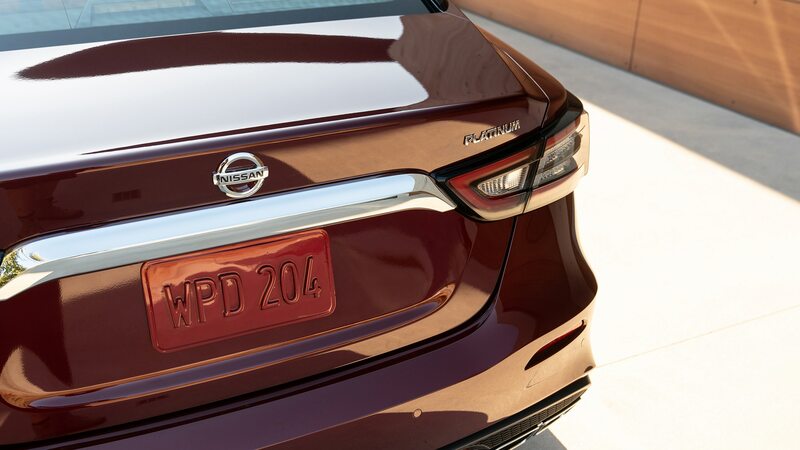 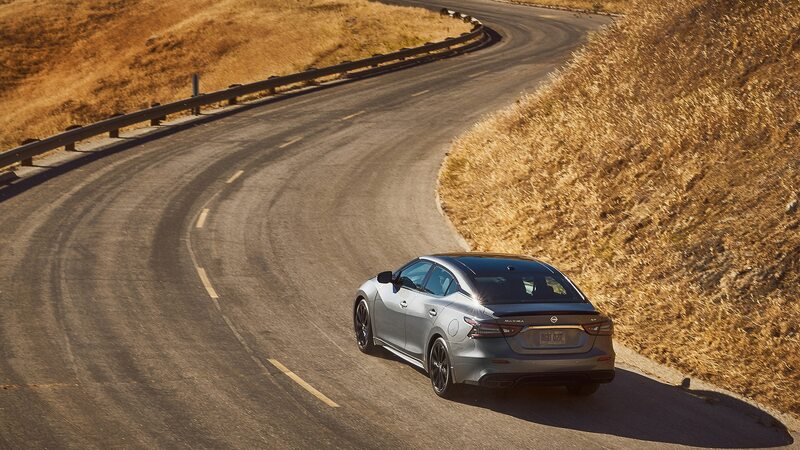 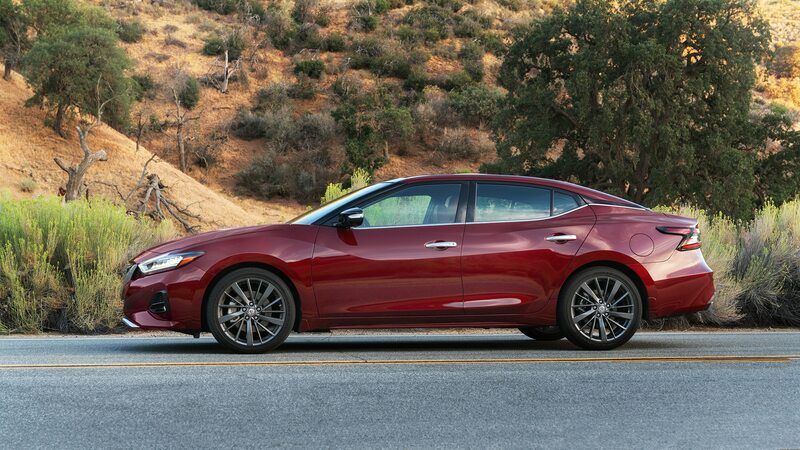 We’d bet that practically everyone knows a person who has owned a Maxima—as Nissan’s longest-serving nameplate, it’s been around for a while—and reinvigorated sales have seen more of the latest generation hit the roads than in the recent past. 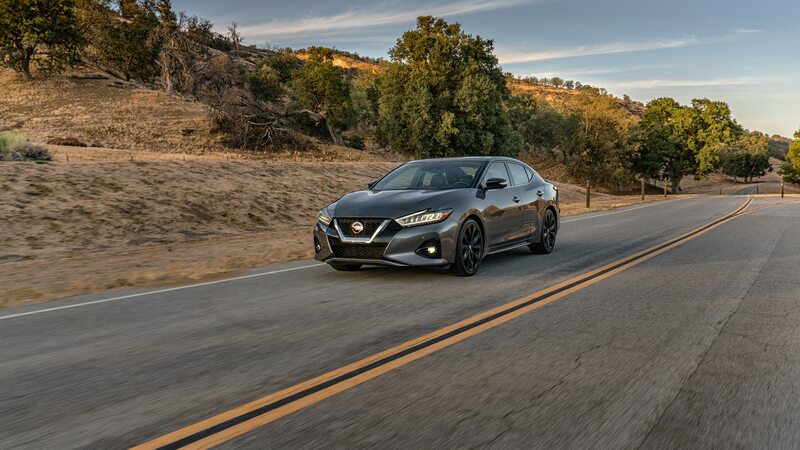 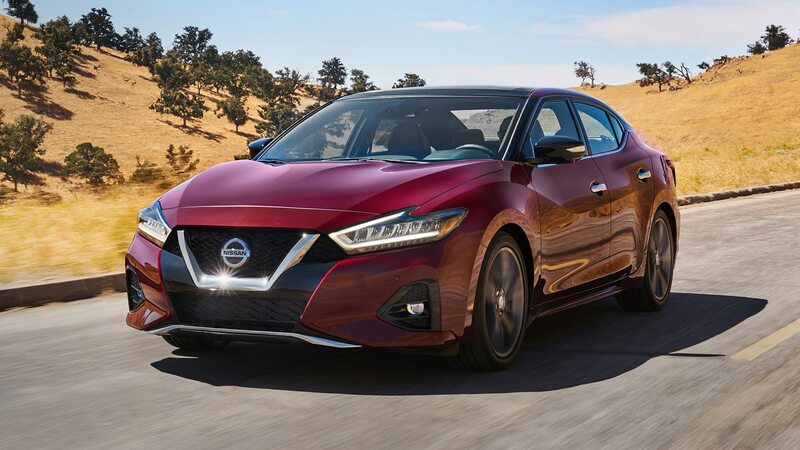 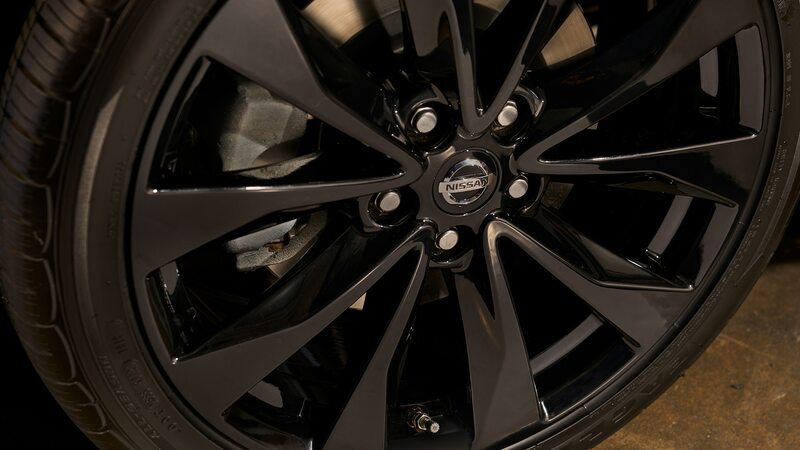 But with consumers increasingly shunning actual cars in favor of SUVs, Nissan is taking no chances and thus is reinvigorating its flagship four-door for 2019 with an infusion of fresh styling and safety tech. 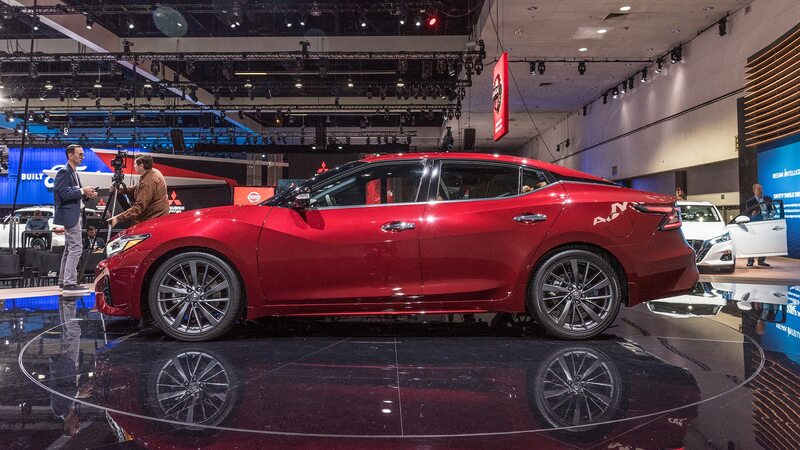 The updated model is making its debut at the 2018 L.A. Auto Show. 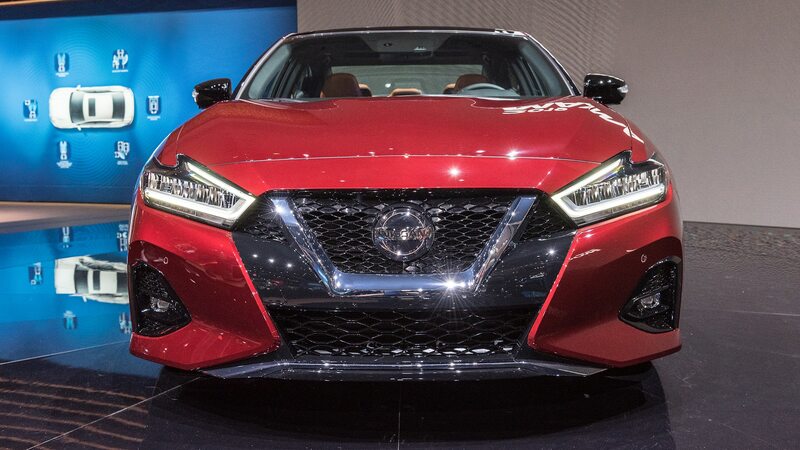 As before, power comes from a 300-horse 3.5-liter V-6, but that engine now sits behind a larger grille with a more pronounced V shape. 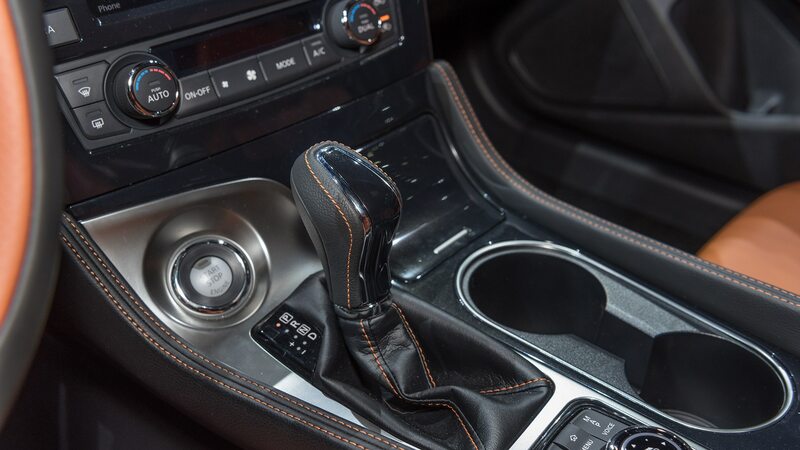 A CVT remains the only transmission option. 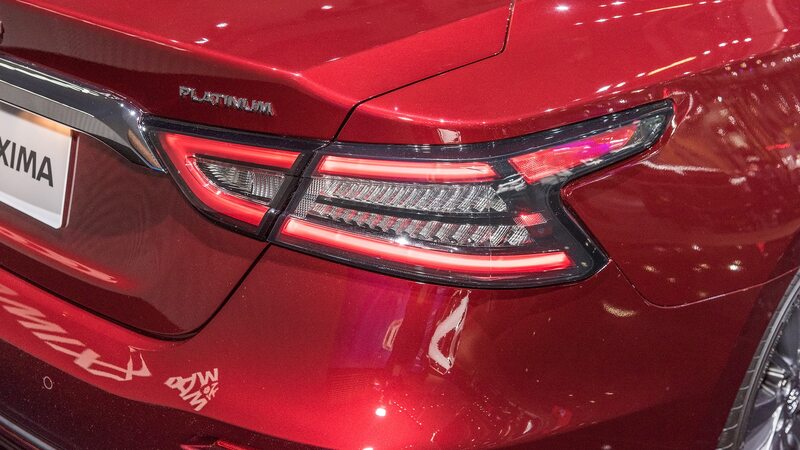 LED head- and taillamps are standard, and the rear fascia has been redesigned and is punctuated by quad exhaust tips. 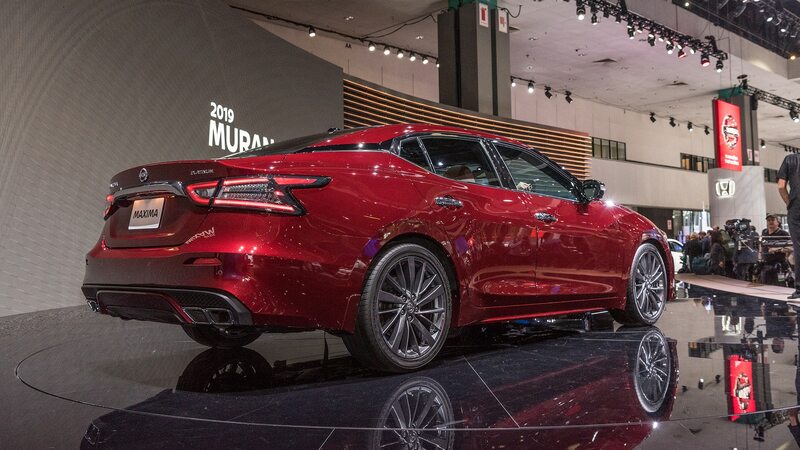 The trim levels include S, SV, SL, SR, and Platinum, with the SR now getting a rear spoiler and the Platinum a fresh 19-inch wheel design as part of the new Platinum Reserve package. 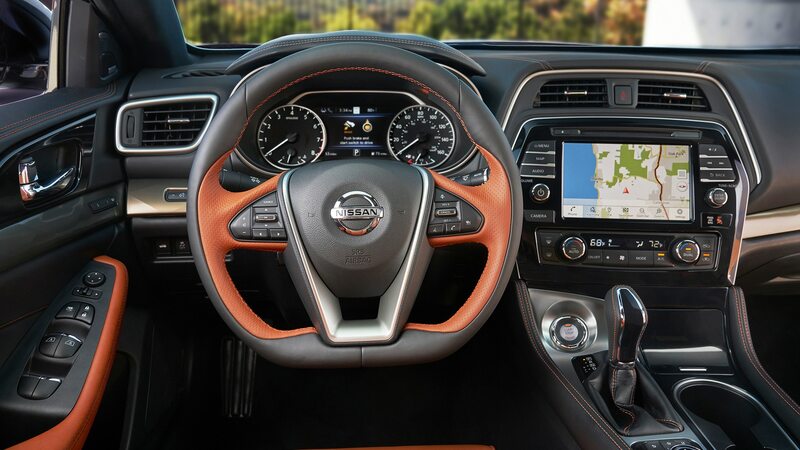 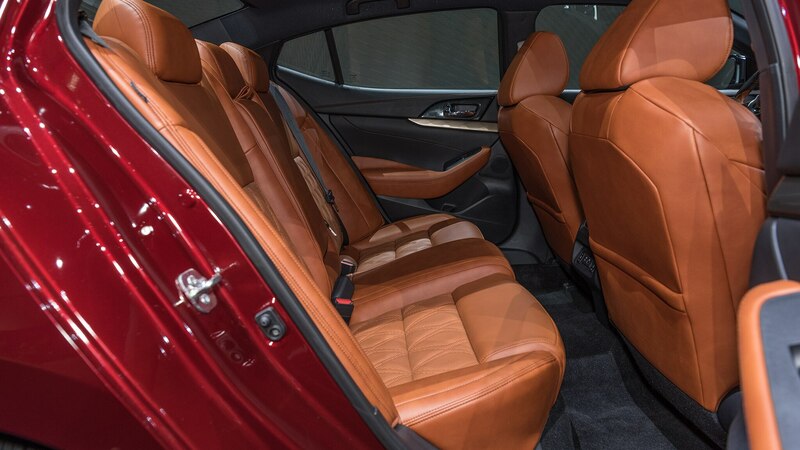 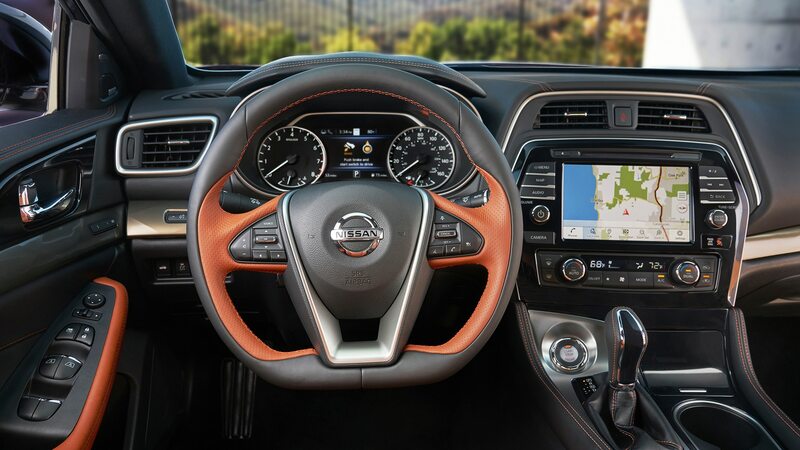 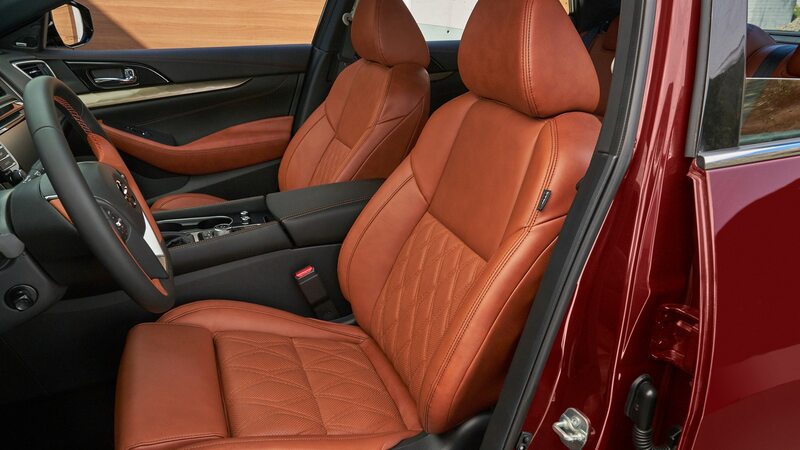 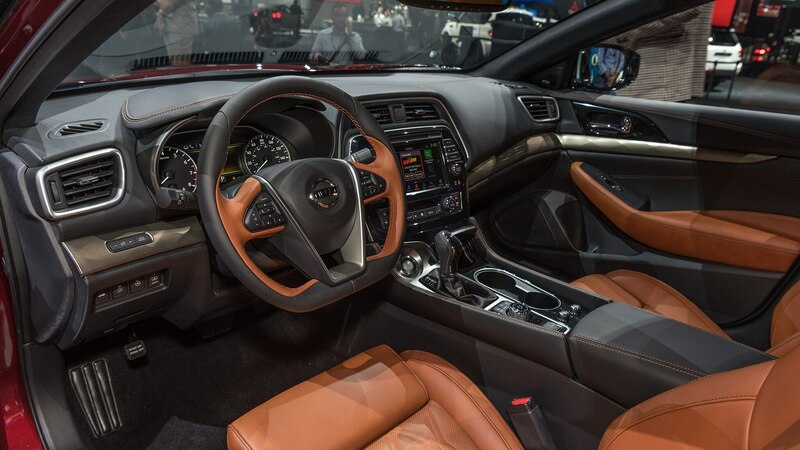 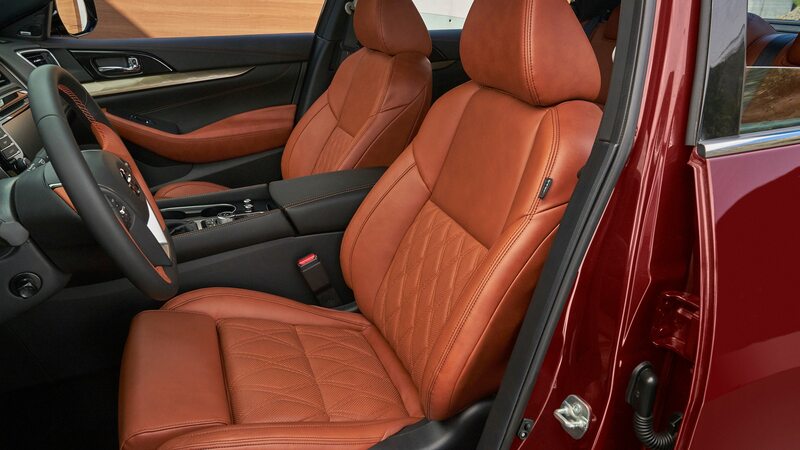 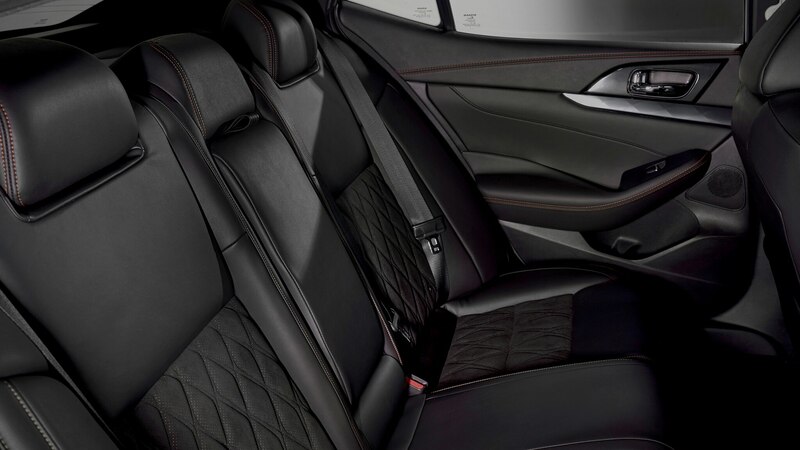 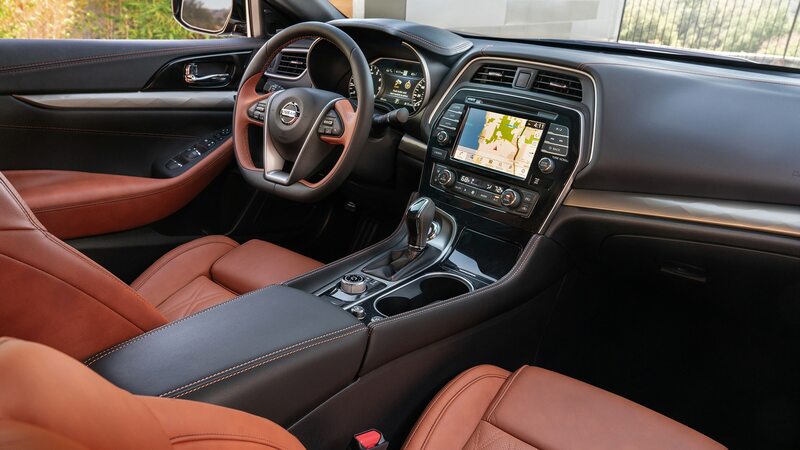 Inside, the Platinum Reserve offers Rakuda Tan semi-aniline leather upholstery, satin bronze trim pieces, heated rear seats, and a two-tone steering wheel, while the SR adds orange stitching and micro suede trim, dark satin trim pieces, and diamond-shaped quilting on the seats. 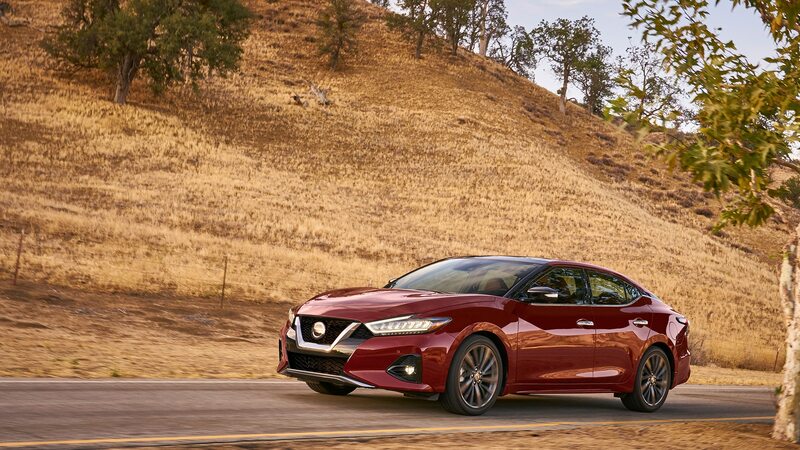 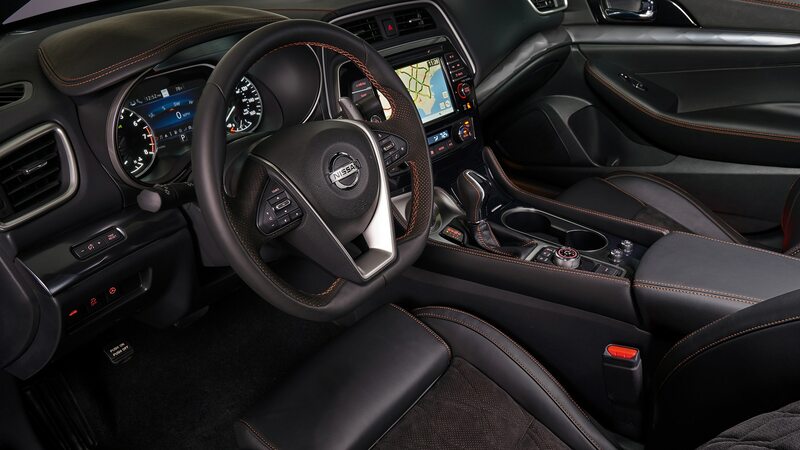 Both the SR and Platinum get a charcoal headliner and pillar coverings, while Nissan promises upgraded materials on the seats, steering wheel, pillars, and other areas across most of the lineup. 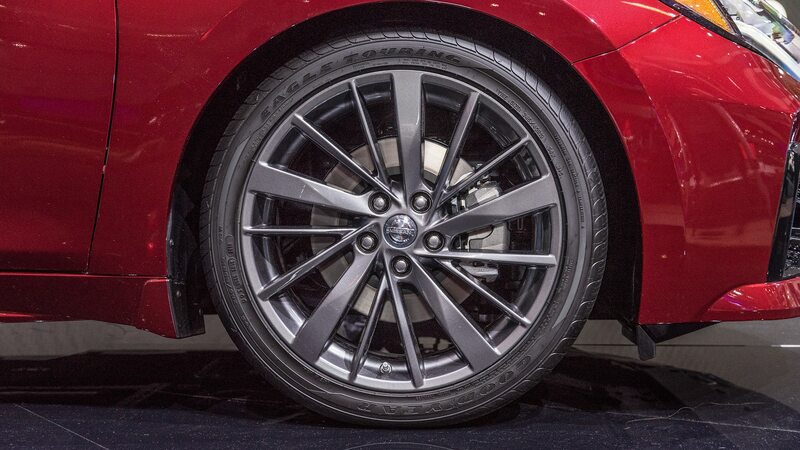 So not the S, in other words. 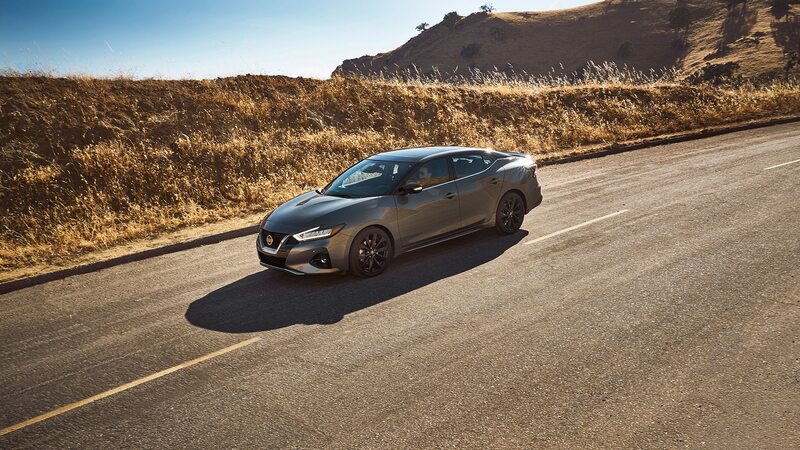 The SR Premium package—the only other option outside of Platinum Reserve, as all other trims are equipment-inclusive—brings a dual-pane panoramic sunroof, a 360-degree camera, and Safety Shield 360 tech. 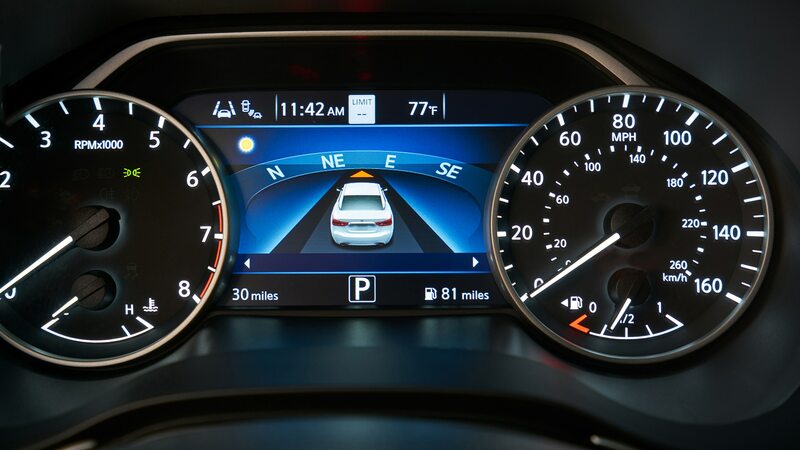 Safety Shield 360 is new this year, and is standard on the Platinum and available on the SL and SR. 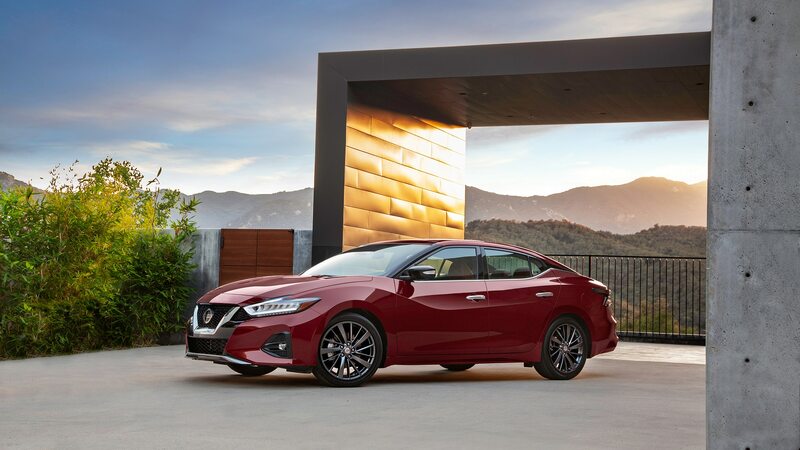 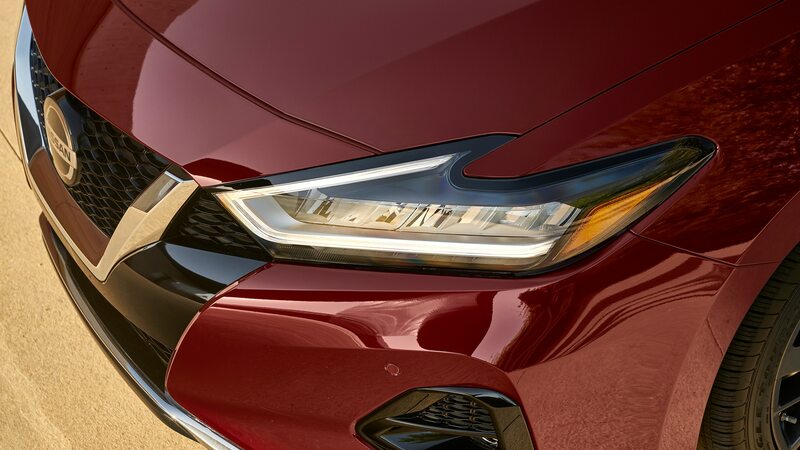 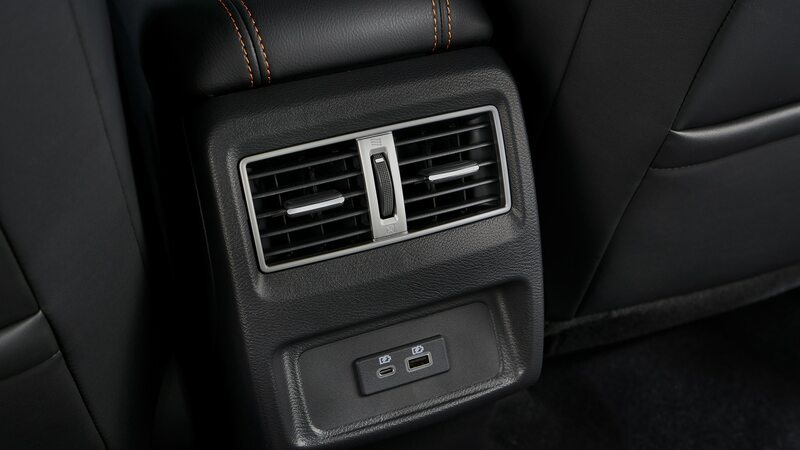 It bundles together six safety and driver-assistance features, including automatic emergency braking, blind-spot warning, rear cross-traffic alert with auto rear braking, lane-departure warning, and automatic high beams. 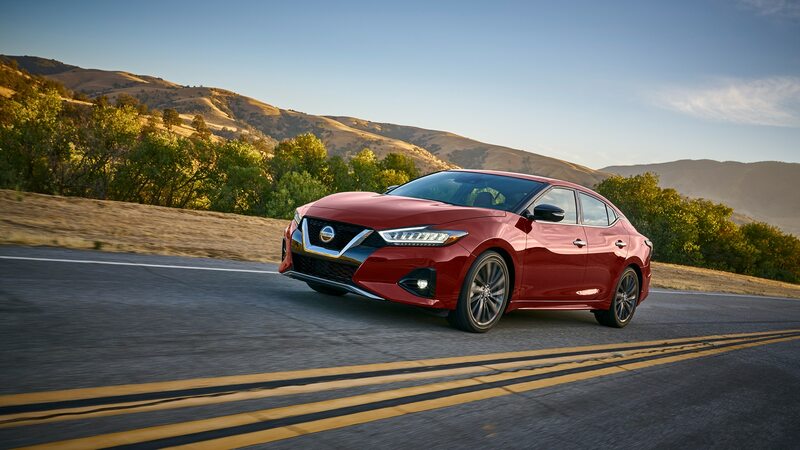 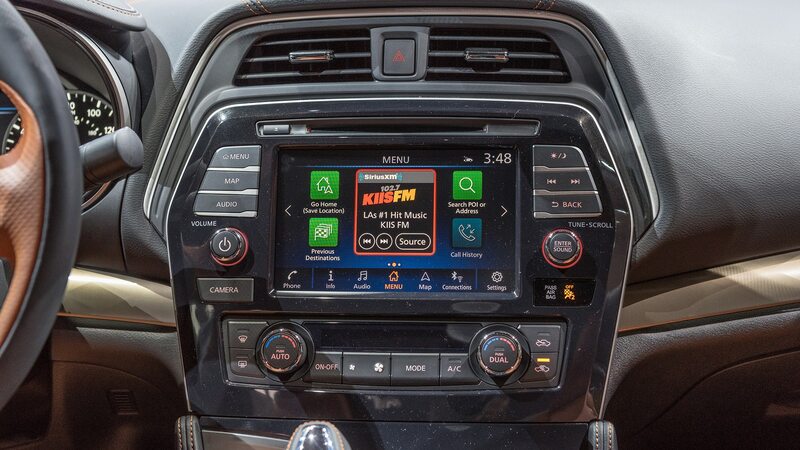 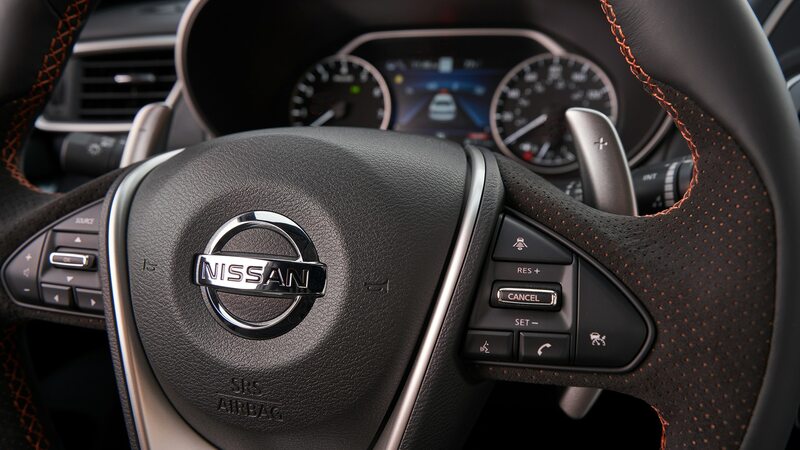 It’s a nice bundle of items, but it seems curious that Nissan is limiting its availability to the highest trim levels even as companies like Toyota are increasingly making many—if not all—of those safety features standard on even compact models. 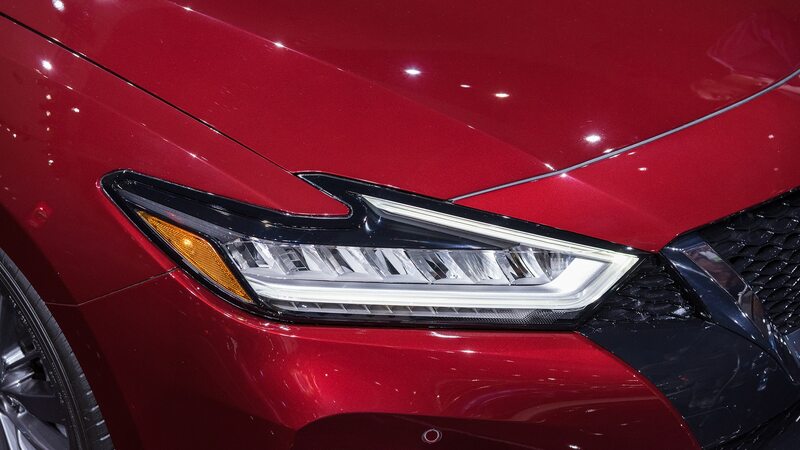 That said, individually, automatic high beams, traffic-sign recognition, and radar cruise control are available on more versions. 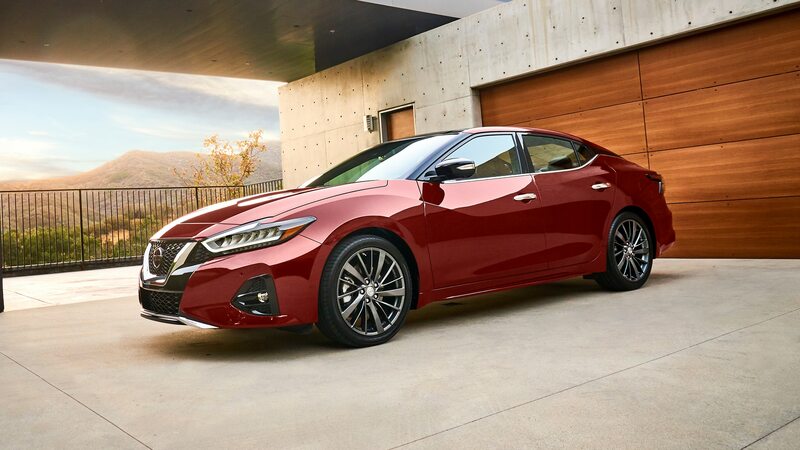 With much of the mechanical package unchanged, it’s unlikely the current-gen model will gain the razor’s-edge dynamics it needs to deserve its “four-door sports car” marketing tagline, but adding richer interior appointments, new safety features, and fresh looks to its rep for being quick, pleasant to drive, and roomy should keep it among the top large sedans on offer. 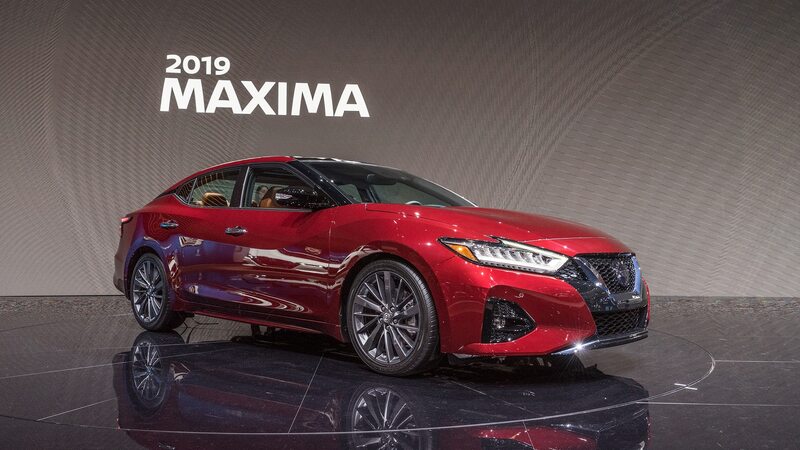 We’ll find out for sure once we drive it closer to its December 2018 on-sale date.